Leap! National Dance Competition offers dancers of all skill levels an opportunity to showcase their talents in an event where the focus is on fun and competing is just a bonus! Drew Vamosi, a professional dancer and former studio owner, founded Leap! and serves as its Executive Director. Vamosi, who fell in love with dance at the age of three, attended Oklahoma City University as a dance major and has numerous professional credits in television commercials and national and European touring productions. He served as the Director of CAM Talent Agency in Cincinnati, Ohio and is the co-founder and former Owner/Director of BravO! National Dance and Talent Competition. Vamosi's dedication to instilling the love of dance in teachers, students and parents led him to found Leap! National Dance Competition, which is based in Omaha, Nebraska. This exciting dance competition provides the stage for recreational and professional-dancers-in-training to shine with more than a dozen events scheduled annually from coast to coast. Leap! offers two levels of competition for participants to choose from, a unique adjudication system, and an exclusive leaping competition are just some of the elements that put Leap! in a category all its own when it comes to national dance competitions. Leap! competitions are open to dancers of all skill levels. SKIP! level competition is for recreational dancers who spend less than five hours a week in the studio. Serious dancers with an eye toward a career in the dance industry can enter the Leap! level competition for a bigger challenge. Leap! 's panel of judges is unique to the dance competition industry. By coincidence, the first event featured three male judges, and according to Vamosi, it was positive participant feedback about that all-male panel that led Leap! to continue the tradition. All judges are professional dancers and teachers, and they are selected for their diverse knowledge in all areas of dance. Leap! judges evaluate dancers according to a star ranking instead of the traditional bronze, silver, gold, and platinum awards seen in other competitions. This unique adjudication system diverts focus away from winning and losing and puts more of an emphasis on dancers embracing the opportunity to be the best they can be with a chance to go home with a top honor. Vamosi feels that this helps keep dancers and their parents from fixating on the competition side of the Leap! experience. The Leap! for the Stars competition is the only one of its kind in the industry. Dancers who enter this special showcase competition have an additional opportunity to show off their leaping abilities. Participants compete in two groups, ages 12-19, and ages 11 and under. Dancers are free to do a series of leaps across the stage or focus their efforts on a single leap. Leapers are judged on height, style and creativity. The winner receives a cash award, merchandise credit, a special prize from sponsor Dream Duffel, and the honor of having their award-winning leap featured on the home page of the Leap! website. Vamosi believes that above all else, dance should be fun for the participants as well as the spectators. Leap! competitions are high energy from beginning to end with the dancers' performances enhanced by a state-of-the-art professional light and sound system. Music videos between dance routines and exciting audience giveaways ensure everybody dances away with precious memories and a positive and uplifting experience. For more information about performance guidelines, rules, and the current Leap! 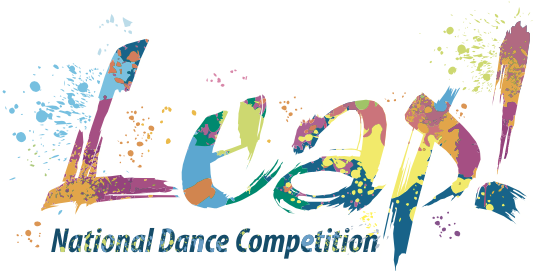 National Dance Competition schedule, please visit www.leapcompetition.com or call 1-800-790-LEAP (5327).